Design and Technology makes a unique and valuable contribution to the education and preparation for life for every child. Using creativity and imagination, our students design and make products that solve real and relevant problems within a variety of contexts, considering their own and others’ needs, wants and values. This prepares them to make a positive contribution within our modern technological society. Within Hope High School our workshop facilities help students develop a broad range of practical skills and subject knowledge. Through design and make products our students develop confidence and pride in their work, exciting their thirst for knowledge and developing their independent learning skills. Our state of the art CAD/CAM facilities, which include, laser cutter, vinyl cutter and desktop engraver enable our students to engage in the modern manufacturing processes of our rapidly changing technological world. 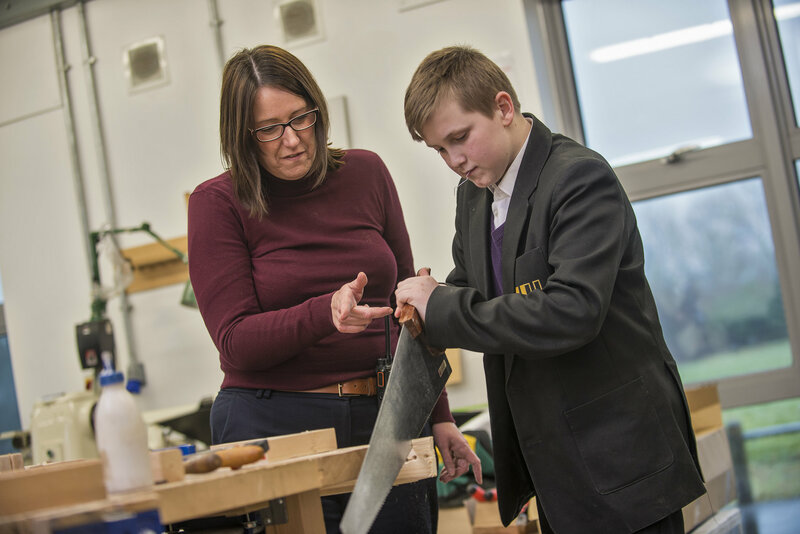 During KS3, many different projects are undertaken to develop a wide range of Design and Technology skills. Materials, used and explored, include wood, metal, plastics, smart and modern. Graphics work covers both hand and computer drawing. Systems and control are taught through electronic projects. Design skills are developed throughout.